Texas Humane Heroes (TXHH) has a noble and ambitious vision: find a loving home for every pet in need in Texas. With 2,526 animals saved in 2017, they’re well on their way to achieving that goal. Like most non-profits, those achievements couldn’t happen without a dedicated staff of employees and volunteers. In the month of December alone, Texas Humane Heroes had 820 active volunteers. Helping lead that vision is Christine Rankin, assistant director and former marketing manager of TXHH. As a young girl, she learned early to respect and value all animals, helping friends care for every stray animal in the neighborhood, from underfed dogs to abandoned turtles. She’s brought that love of animals into her current position. Currently, she and her husband have three adopted fur babies. Her oldest is Big, a cuddly nine-year-old basset hound. She found Sophia Marie, her black lab/blue heeler mix, underweight and wandering the snow-covered California desert. Laine, her blue pit bull, was thrown over a fence and left for dead as a puppy. Rankin with her 9-year-old basset hound, Big. Rankin acknowledges the challenges of working for an animal non-profit, but quickly points out the perks, like being able to play with a dog or cuddle a cat when work gets stressful. Her favorite part of the job, however, is working with her fellow employees and volunteers who all share the same passion and drive to save these animals. 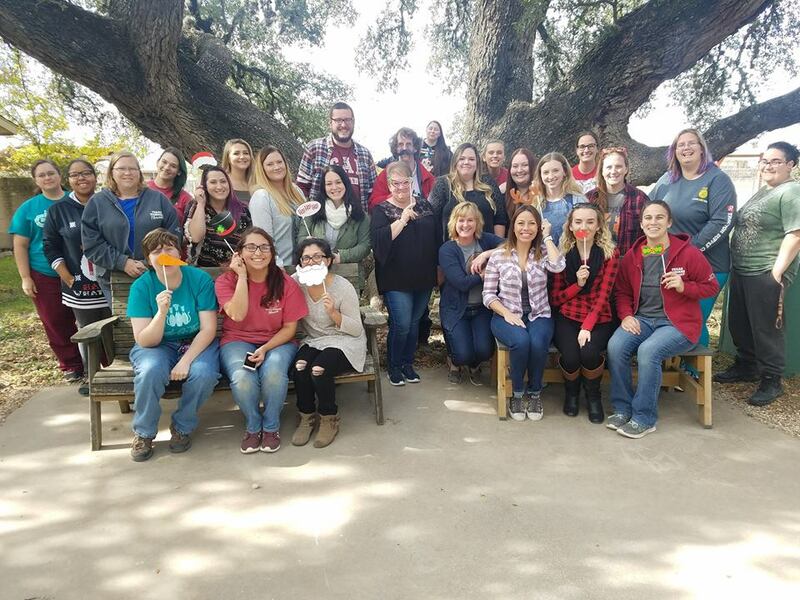 This month, Christine shared her marketing experiences and successes with VolunteerMark to help other nonprofits grow awareness, raise funds and expand their marketing efforts. The most challenging aspects of marketing and brand awareness have been people not knowing who we are despite how long we’ve been around. Our goal is to create a marketing plan that really catches the community’s eye and leaves a lasting impression. Attending events to raise community awareness plays a big role in that. We have been gaining more supporters and recognition over the past few years, which keeps me motivated and excited to see where we can take the organization. Our most successful effort was when a previous adopter reached out to ask us to reunite her dog, Frito, with his siblings. We asked her to take a picture of her dog with a sign saying he’s looking for his siblings and then post it to social media. With the help of a press release and just the viral nature of Facebook, it took off! We even received a call from Good Morning America and ABC News. We united six of the seven puppies and even located their mom! Frankie finds his final forever home. 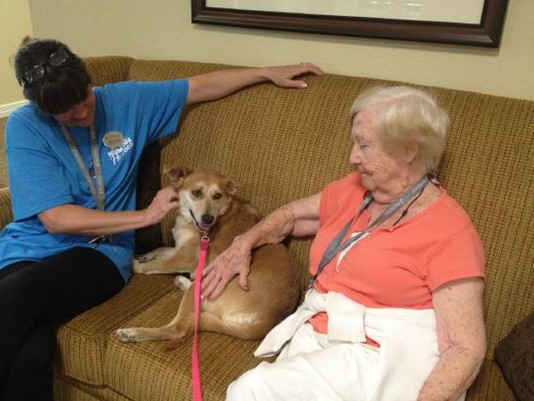 We also started a partnership with Brookdale Senior Living in North Austin. Not only do we enhance the lives of pets with a second chance, but we also we enhance the lives of the people. Adoption isn’t feasible for everyone, but that doesn’t mean they shouldn’t still enjoy the joy a pet can bring, which is why I wanted to begin this program. Not only are residents’ days brightened, but some of them have become TXHH volunteers! Several staff have adopted TXHH pets, and they talk about us all the time. It’s definitely been beneficial for our organization, and seeing the happiness it brings to everyone is so rewarding. 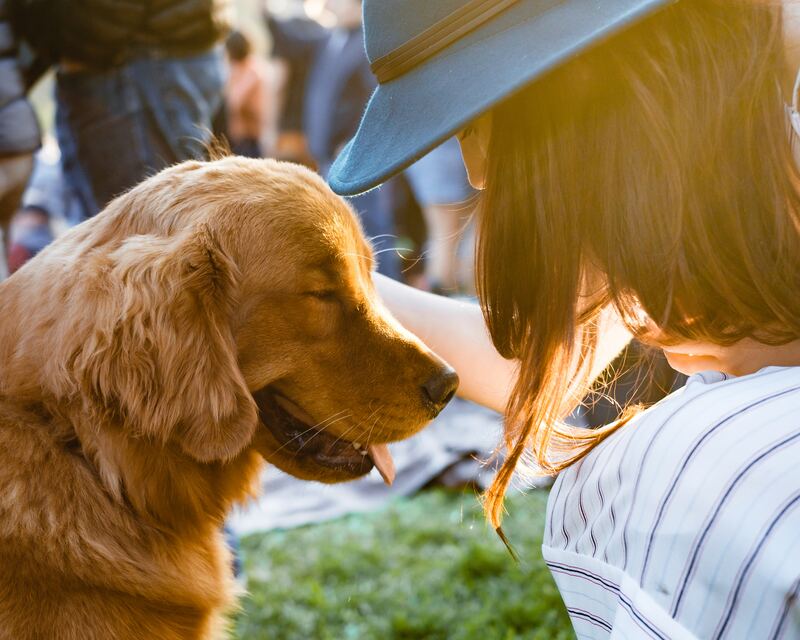 I always tell fellow marketing professionals I have an advantage marketing for an animal organization– who doesn’t love having a happy and cute furry face pop up in their Facebook feed? Social media is a fantastic, free resource to collect donations, tell stories and share videos. People love to share on social media, so creating relatable posts is important. Most of our posts are happy, which keep people following. Sad posts get people to donate and share, but they don’t want sad stories filling their feed, so we limit those posts. Know your social media audience’s preferences and engagement habits. We monitor when our followers are most active and engaged and post around those times. Photos of our staff and volunteers with pets on Instagram always have high engagement. Post often. 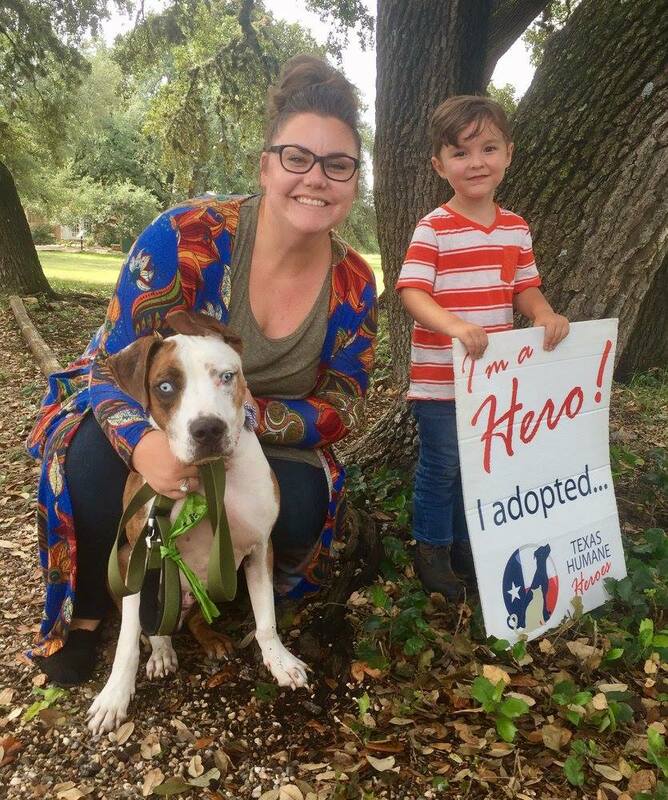 Daily adoption photos that show pets with their new, happy families are our most popular because they highlight the pets but also the people who’ve saved their lives. Tell your unique stories. Our blog, Pride Pack, shares interesting information about our employees and volunteers. Our audience loves it! It’s also had a great benefit on moral, reminding staff and volunteers how lucky we are to have them as part of our team. Post lots of photos and videos. I have so many great volunteers that come out and take photos of the animals. These photos not only help the animal get adopted quickly but they’re also great to use in all marketing and social media efforts. Even if the animal has been adopted, we can still use those photos for other marketing campaigns. Volunteer recruitment. We recruit through social media posts as well as having a volunteer photography option on our VolunteerMark profile. Many people who see those as an option sign up immediately! VolunteerMark also allows for us to schedule shifts in advance so people know what opportunities are available before they come in. It helps keep us organized and current, reducing the stress and guesswork for both volunteers and staff. In March of last year, we brought in Frankie who was completely deaf and partially blind. Our Adoption Center Manager fostered him for about a month, teaching him hand and touch signals so he could go into his new home with some knowledge. When he became available for adoption, it didn’t take him long to find a home. Unfortunately, the family wasn’t skilled in living with a deaf dog, and with Frankie being a bouncy puppy, they decided this wasn’t the best fit. This happened twice. After the last return, poor Frankie waited three and a half months. Turns out, it was worth the wait. He met his family who had a four-legged sibling to play with, as well as a two-legged sibling! His family adores him and now he and his dog sister share an Instagram account! Being able to follow along and see how well and happy he is doing in his new forever home is just a continuous reminder of how rewarding our work is. Frankie enjoys his final forever home. Housekeeping efforts. We always need volunteers to help with chores like laundry and dishes, walking dogs and taking photos. Be a community voice for TXHH. Community events helps spread awareness of our organization. Peer-to-peer fundraising. Our budget is the only thing that limits us from being able to save more lives. With the help of readers, we can do so much more! Offer a service. We welcome professional trainers, and people who are interested in animal health can volunteer with our clinic. Share your creative talents. Are you a pet owner with a great story? Consider contributing a blog post for our social media and website. Of course, following, engaging and sharing on Facebook, Twitter, and Instagram also helps spread awareness of our organization with your audience. Ready to volunteer? 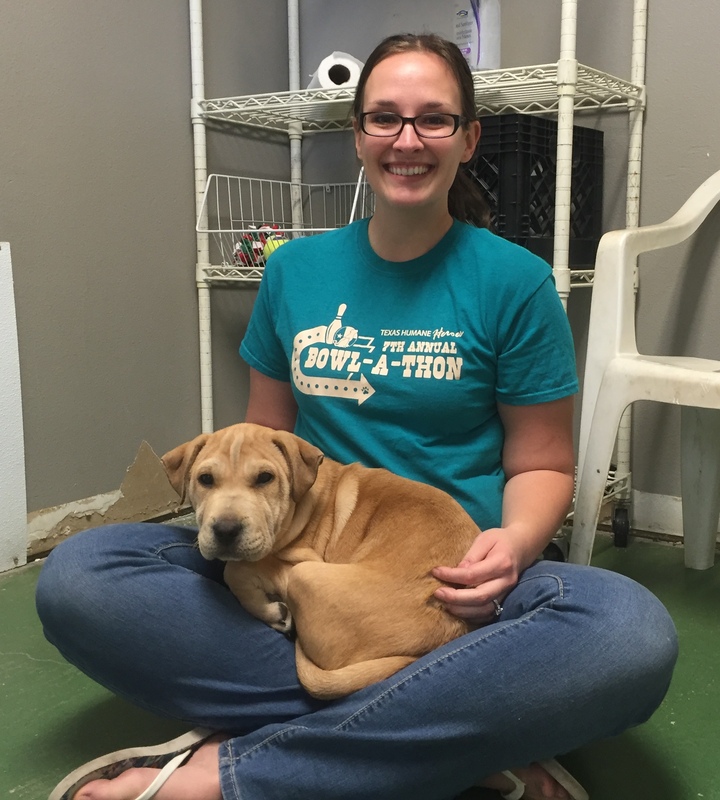 Check out Texas Humane Heroes’ current volunteer opportunities! Interested in how you can better manage your organization’s volunteers? Learn how here.